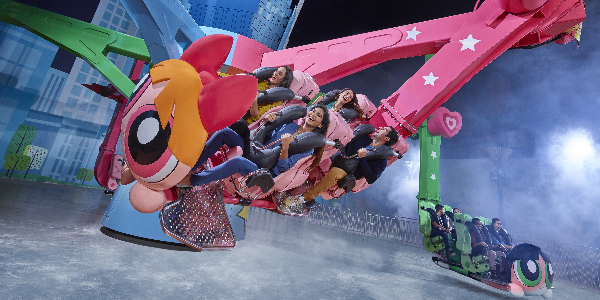 Cartoon lovers can find plenty of reasons to smile in the Cartoon Network zone at IMG Worlds of Adventure. 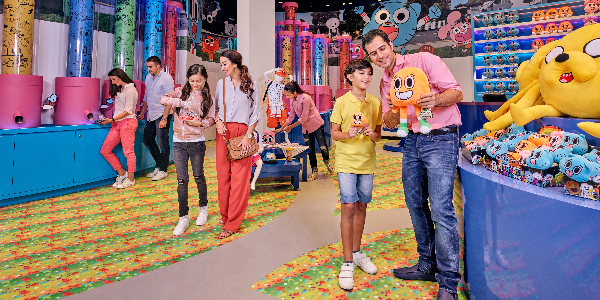 The Amazing World of Gumball, Adventure Time, The Powerpuff Girls, Ben 10 and LazyTown are set to come alive in this exciting area. The Powerpuff Girls – Mojo Jojo’s Robot Rampage! Townsville is in danger! Join The Powerpuff Girls and help fight Mojo Jojo’s evil robot creation that is threatening the city. You’ll take to the skies alongside Blossom, Bubbles and Buttercup as they try to save the world before bedtime. Join Ben and Rook at Plumber Headquarters for your first day as a Plumber trainee… but with villain Khyber The Huntsman around it’s not going to be an easy introduction. Prepare to be fully immersed in Ben’s world in this epic multi-sensory adventure - get ready to battle evil and experience pulse-racing action! 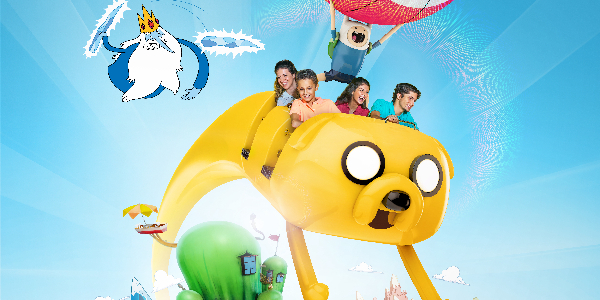 Soar high over the Cartoon Network Zone as you join Finn and Jake on a journey through the Land of Ooo. 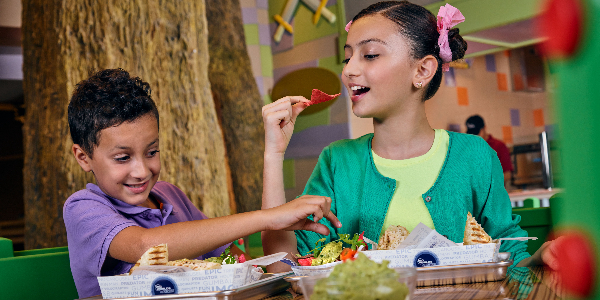 Visit the varied and vibrant kingdoms and encounter the Ice King, a host of Princesses and a cast of other extraordinary characters. Visit the town of Elmore where Gumball and Darwin’s school science project has gone out of control and unleashed chaos! 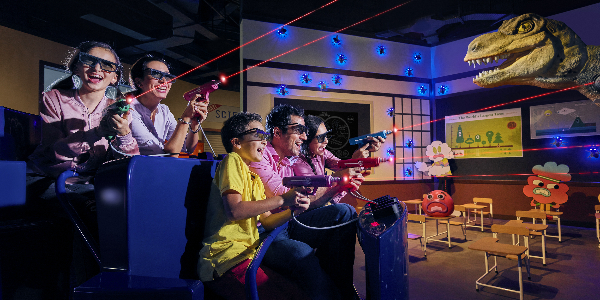 Save the day by competing with your friends to zap the objects that have come to life and are threatening to take over the town. 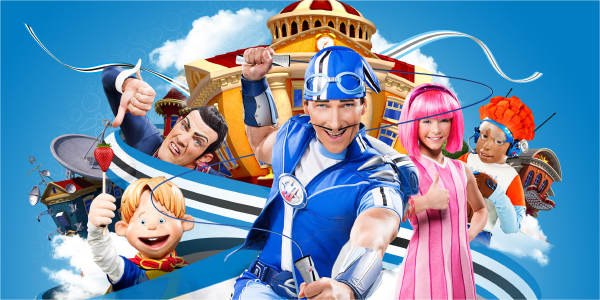 Step into the world of LazyTown for an interactive adventure full of climbing, adventure and other fun and exciting experiences! There’s something for everyone. Learn some dance steps with Stephanie’s Dance School and explore Robbie Rotten’s secret lair! 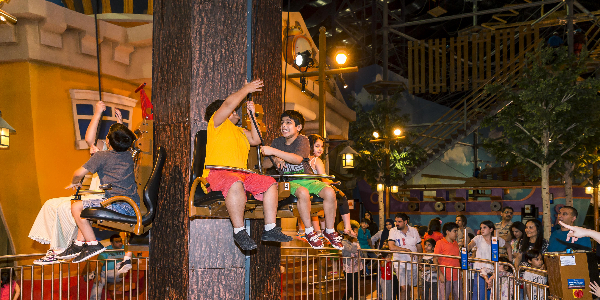 Lazy Town Pirates Adventure – Guests must pre-book at the attraction to take part for a cover charge of AED 25 per person. There is limited availability and participation cannot be guaranteed. Late arrivals for a reserved time slot will result in the loss of a booking with no guarantee of re-booking. 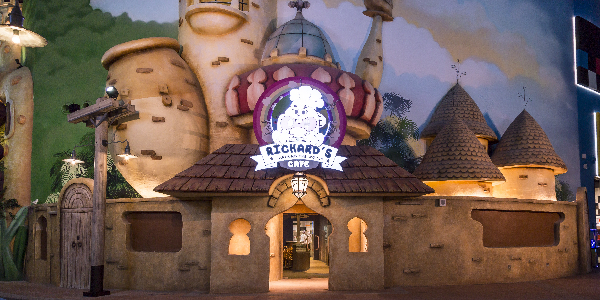 Join your favorite Cartoon Network characters in this family-friendly restaurant where the excitement doesn’t stop for the ultimate interactive dining experience. 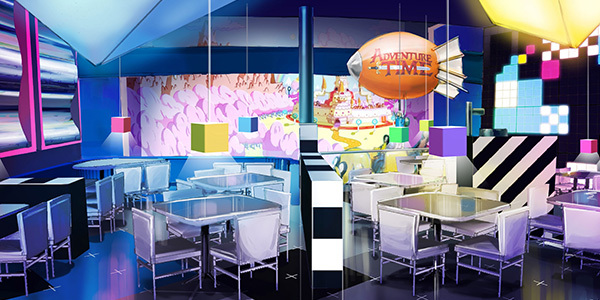 Situated over two floors, relax and have fun meeting and posing for photos with Cartoon Network stars while you enjoy delicious international-style cuisine in a casual dining environment. 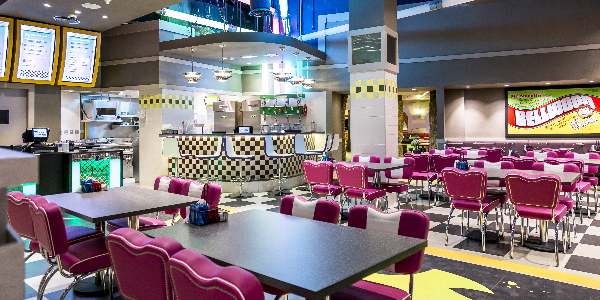 Hang out with Ben 10 and his buddies in this American-style diner where the smoothies have to be tasted to be believed! Burgers don’t get better than this – you’ll want to keep coming back for more. A true emporium of all things Cartoon Network, this is the place for all CN fans to have fun while browsing the world’s best CN merchandise. 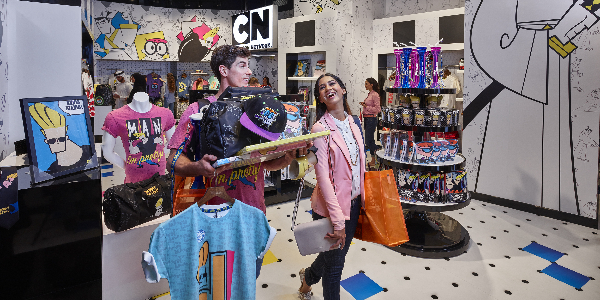 Where better to meet the CN stars than in this dedicated home of wonderful Cartoon Network accessories, gifts, toys and games? What are you waiting for? 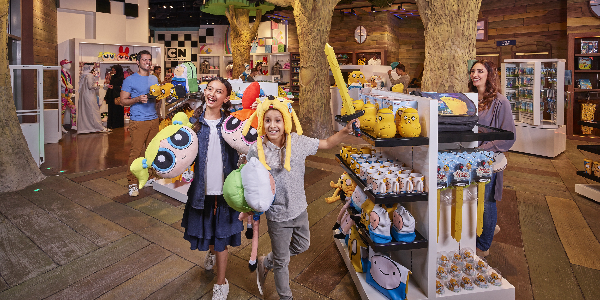 An IMG Worlds of Adventure must-see, The Amazing Store of Gumball is the place to get your Gumball merchandise. The Lazy Store has everything that LazyTown fans will love. Come and check out the LazyTown merchandise that’s sure to get you energised and active! 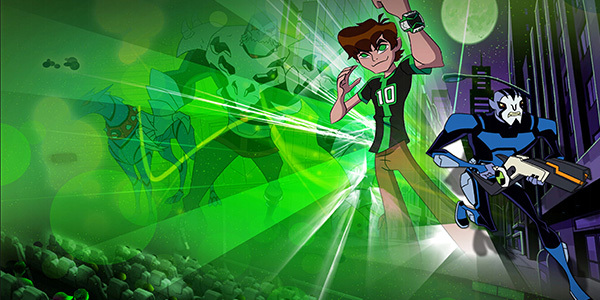 Another flagship store, join Ben 10 at the galaxy’s premier Ben 10 store and choose from a wide range of toys and games to bring the Ben 10 magic home. 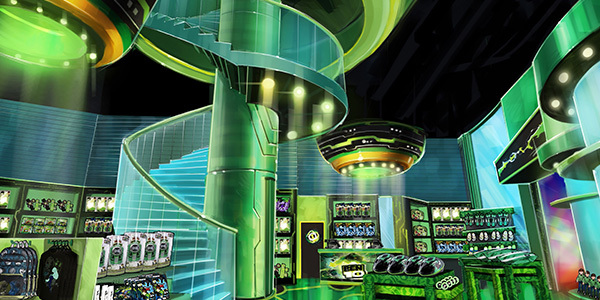 It doesn’t get better than this for Ben 10 fans, so make the most of your trip to IMG Worlds of Adventure to fulfill all your intergalactic shopping needs.